RALEIGH — The governor of North Carolina has expressed his opposition to appealing a recent ruling that struck down the state’s requirement that women obtain an ultrasound prior to having an abortion. 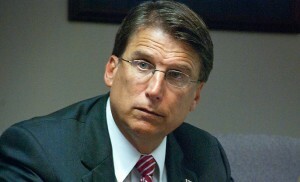 Governor Pat McCrory’s office said in a press release that continuing the fight would be costly. McCrory also stated that he was satisfied that the majority of the abortion law was upheld, albeit without the ultrasound requirement. Then-Governor Beverly Purdue vetoed the legislation after it reached her desk, but was overruled by a majority vote. The Charlotte Observer notes that McCrory’s opposition to an appeal does not necessarily mean that the state will not file for one. Attorney General Roy Cooper may decide to proceed with the case after discussing the matter with legislators and other state officials. The Associated Press notes that a number of lawmakers support appealing the ruling no matter what the cost. “It’s an important law that saves lives and the ruling should be appealed,” House Speaker Tom Tillis (R-Mecklenberg) recently Tweeted. “We expect the attorney general to quickly move forward with an appeal of this provision,” Senate leader Phil Berger (R-Rockingham) agreed in a statement. Pro-life groups likewise believe that Cooper should move forward and continue the fight.